You can always have raingear with you by carrying your stuff in the elegant Funnell backpack-slash-rainjacket. It’s more than half funded on Kickstarter. 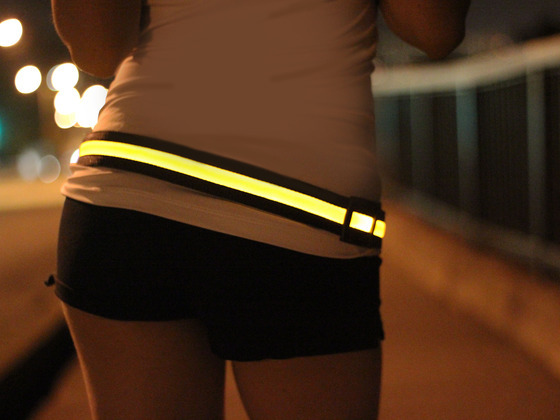 Bicycling.com is featuring a gallery of their favorite reflective gear, including the “Mercurial” reflective pants clip shown above. 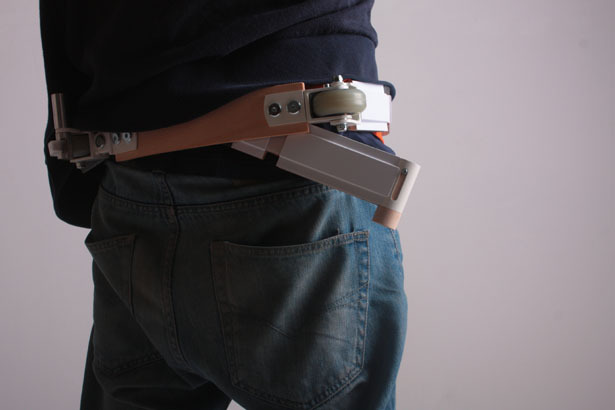 Not to mention that belt looks like it could be useful on a footbike, too.